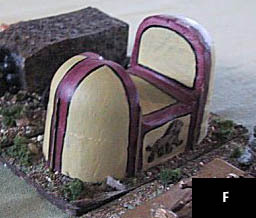 15mm Assyrian Tents Still in development! 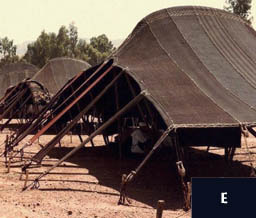 The tents seems just like modern bedouin ones, where one side is open and angled to catch cooling breezes. 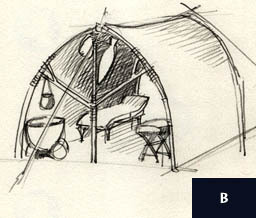 The other 'type' is probably a screen, around two such tents arranged to face each other and seen from the side. These are probably tents for high officials and for the king. They would be made of goat hair, as are modern ones, and they'd be black. The screen is for privacy. 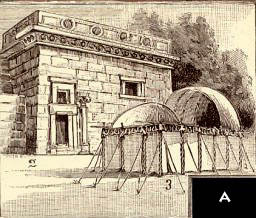 In many other reliefs this is quite clearly depicted as a courtain enclosure, made of fabric panels stretched between poles with decorated tops, supported by guy ropes, similar to that used by Japanese warlords for instance. 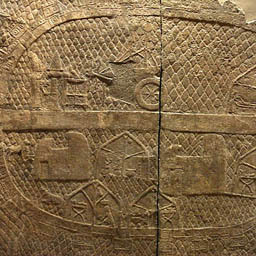 Often there is a door cut in one of the panels. 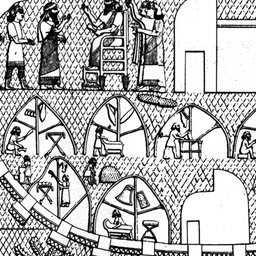 Another possible interpretation is that these are completely different tents or even mudbrick houses. In short, the problem is: what tridimensional shape is represented here? 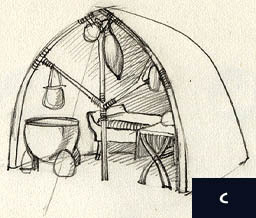 This sketch shows a variation of the design, assuming the representations are literally descriptive of the actual shape also for the tents seen from the side, as they are of the tent interior, objects and structure. 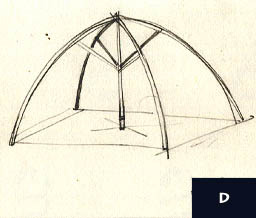 This is yet another possible structural configuration, it has the advantage of being simple and sturdy from a constructional point of view, and still closely match the representation, both from the front and side.